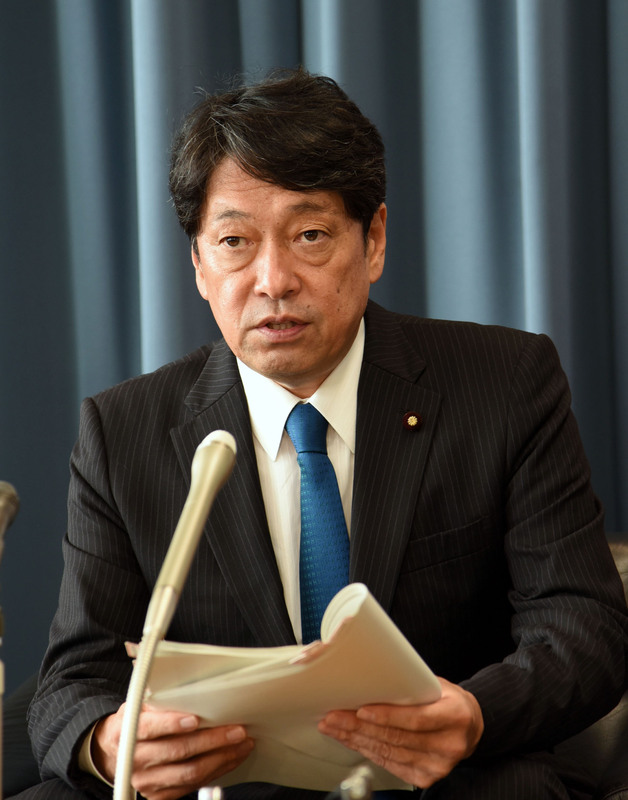 Newly appointed Defense Minister Itsunori Onodera has said he will consider the option of allowing the Self-Defense Forces to acquire the capability to directly attack North Korean missile bases amid escalating concerns over Pyongyang’s rapidly growing weapons programs. 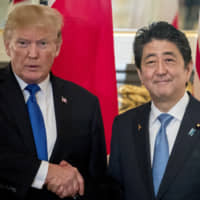 “We should consider it from the perspective of what Japan can do to beef up the deterrent capability of the Japan-U.S. alliance and protect the lives and property of the Japanese people,” Onodera said in a joint interview Friday with media outlets including The Japan Times. At the same time, Onodera carefully chose his words, saying he will facilitate debate on how to improve “Japan’s overall ability to deal with ballistic missiles” from the North. Acts of belligerence are banned by Article 9 of the Constitution. In Hiroshima on Sunday, Prime Minister Shinzo Abe remained cautious about opening this constitutional can of worms. At a news conference after the annual memorial ceremony for the 72nd anniversary of the atomic bomb attack, Abe said he had “no plan” at the moment to consider giving the SDF permission to develop the ability to carry out attacks on other countries. Onodera’s stance on the sensitive issue has been closely watched. In March, he himself proposed that Japan consider procuring long-range cruise missiles capable of striking North Korean sites. 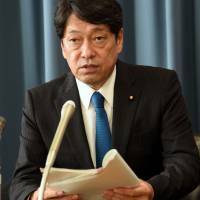 At the time, Onodera, who was appointed defense chief in last week’s Cabinet reshuffle, was a key member of the ruling Liberal Democratic Party’s security panel. The panel’s proposal emphasized that the SDF should be allowed to “strike back” should Japan ever be attacked, rather than carry out a pre-emptive strike. This was suggested because of the limits of war-renouncing Article 9. The government has long maintained that counterattacks are theoretically acceptable under the supreme law. But acquiring this capability would nonetheless pose a radical break with Japan’s pacifist postwar policies. 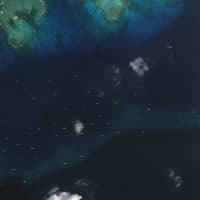 The government claims that, at the moment, it has no armaments that would allow the SDF to strike military bases overseas, such as long-range fighter jets or Tomahawk cruise missiles. Japan, which has long adhered to an “exclusively defensive posture,” has depended on the United States — its security ally — to attack overseas targets should war involving Japan ever break out. This military relationship has often been described as shield and spear. On Pyongyang, Onodera said Tokyo will continue to cooperate closely with Washington and Seoul to rein in its provocations while also asking China and Russia to play bigger roles in ratcheting up pressure on the reclusive state. Onodera also he said he wants to take “root and branch” measures to prevent a recurrence of the data cover-up that caused former Defense Minister Tomomi Inada to resign last month, and vowed to turn the ministry into a more transparent organization and facilitate cross-departmental communication. The freshly minted defense chief also said he has “no plan” to visit war-linked Yasukuni Shrine at the moment. 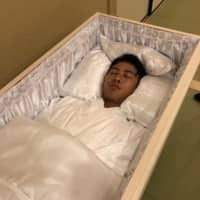 Inada drew fire last December by making a surprise visit to the shrine, which honors the country’s war dead — including Class-A war criminals. For decades, visits by government officials to the shrine have infuriated China and South Korea, which view such moves as signs that Japan remains unrepentant for its wartime transgressions.